Additional research provided by Larkin Bell, Kathy Carter, Evan L. Erickson, Joan E. Freeman, John Hairr, William C. Harris, Jerry Leath Mills, Clyde Smith, and Jean Snow. North Carolina has a rich diversity of fish species. English observers during the Roanoke voyages of the 1580s noted many species, confirmed in 1709 by naturalist-surveyor John Lawson, including sharks, Spanish mackerel, mullet, shad, fat-backs (menhaden), skates, eels, bluefish, red drum, rockfish, flounder, herring, sea trout, and many others. Among the freshwater species are trout, several varieties of perch, carp, catfish, sturgeon, and pike. Fish and Fisheries of the United States, an 1887 study commissioned by the U.S. Census Bureau, revealed the continuing diversity of North Carolina's waters. The abundance of fish species in the coastal waters continued into the twentieth century, although sometimes (as in the case of rockfish) in tandem with strict federal regulation to preserve and regenerate some species. For certain other species, like sturgeon and shad, their commercial profitability led to a severe decline: sturgeon are all but absent from North Carolina waters, and shad are only beginning to recover. Although overfishing has often been cited as the main cause of species decline, disappearance of wetlands spawning habitat and poor water quality also have seriously harmed many species. Bass are found throughout North Carolina's fresh and salt waters. Largemouth bass and white perch like warm, muddy waters, while the Roanoke, rock, spotted, redeye, and smallmouth bass all prefer cooler streams with rocky bottoms. Roanoke, rock, and redeye bass and white perch are native to the state. White perch and white bass may migrate from coastal waters upriver to spawn. North Carolina also has an estimated 4,000 trout streams, many of them in the Great Smoky Mountains National Park, along the Blue Ridge Parkway, and in the Cherokee Indian Reservation. At the beginning of the twenty-first century, the North Carolina Division of Marine Fisheries listed the following fish species as viable, or able to sustain numbers without intervention: Atlantic menhaden, black sea bass south of Hatteras, king mackerel, Spanish mackerel, spot, spotted ("speckled") sea trout, and striped bass in deep ocean waters. Species in decline included the southern flounder, American shad, and all sharks. Those in "stressed but recovering" status were Atlantic croaker, bluefish, summer flounder, hickory shad, striped bass in sounds, and weakfish (winter sea trout). Jim Dean and Lawrence S. Earley, eds., Wildlife in North Carolina (1987). Doug Elliott, "Bats Aren't So Bad," Wildlife in North Carolina 54 (November 1990). John A. Fussell III, A Birder's Guide to Coastal North Carolina (1994). David S. Lee and James F. Parnell, Endangered, Threatened, and Rare Fauna of North Carolina (1990). Margaret Martin, A Long Look at Nature (2001). 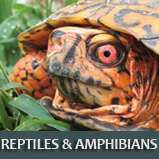 William M. Palmer and Alvin L. Braswell, Reptiles of North Carolina (1995). 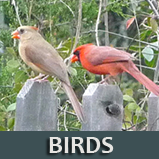 Eloise F. Potter, James F. Parnell, and Robert P. Teulings, Birds of the Carolinas (1980). Fred C. Rohde and others, Freshwater Fishes of the Carolinas, Virginia, Maryland, and Delaware (1994). 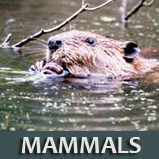 William D. Webster, James F. Parnell, and Walter C. Biggs Jr., Mammals of the Carolinas, Virginia, and Maryland (1985). Lawrence, David. 2007. "Fish schooling on Papoose." Online at http://www.flickr.com/photos/abysswriter/3033414059. 1 January 2006 | Templeton, Lee Plummer; Wait, Douglas A.